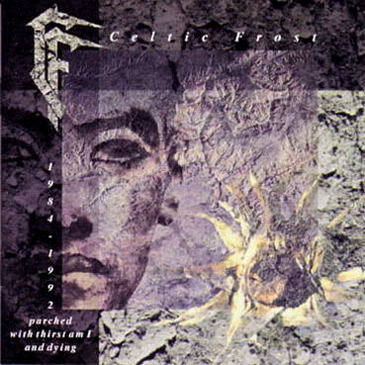 Celtic Frost might have dragged their heels in an unwelcome and unwanted glam fetish for a few years, or released a few lacking short form products through their career, but one thing they could never be accused of is ripping off their fan base by capitalizing on such an enormous cult status as they've garnered these past decades. Just how many useless, redundant Best of Celtic Frost compilations might we have suffered it Tom G. Warrior and his backers turned a blind eye to their dignity and quality control and dropped to their knees to fluff the almighty dollar? It says a lot that, when a fan collection did finally arrive in the form of Parched With Thirst Am I and Dying via Noise Records, that it was so loaded with re-recordings, rare or unreleased tracks, and other odds and ends that don't wind up feeling like a track by track repressing of studio material that they've already turned a buck off. That doesn't make all of its content invigorating, or unique to this one album, but in general this would hold a lot of appeal to an audience of the time who might not have been saturated in the CD re-releases (with bonus tracks). What's more, if you're lucky enough to have gotten the 1999 re-issue of the compilation, it features about 30% more content. This is the version I'm covering here, and the version I'd recommend you hunt down if you're in the market for the odds and ends of your Swiss heroes. There are, of course, a few cuts here which might have been omitted in favor of other demo reels, live cuts or rarities, most of which are taken straight from the Vanity/Nemesis album: "Wings of Solitude", "The Hearth Beneath", "The Name of My Bride", and a couple oldies in "Circle of the Tyrants" (Morbid Tales) and the French version of "Tristresses de La Lune" which was available on the US release of Into the Pandemonium. All good or amazing choices, but not necessarily relevant to the interests of fans who already owned them. The radio edit of "I Won't Dance (The Elders Orient)" and "Cherry Orchards" are also unwarranted, neither superior or markedly different than their fuller studio incarnations. 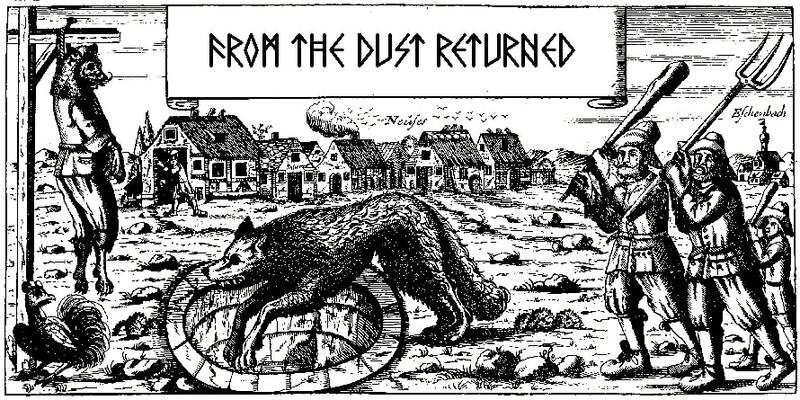 The raw studio jam of "Return to the Eve" with the added Reed St. Mark vocals is also here, but this too we've heard before on the Tragic Serenades EP or CD re-issue of To Mega Therion; nor do I care about the jam version of "Mexican Radio" much either, or "The Usurper" with Ain's bass that was also already on Tragic Serenades. But the other half of the compilation is far cooler, or at the very least, it tries to be. For example of the latter: a pair of 1991 re-recordings of tunes from the ill-fated Cold Lake have been included, with a bit more aggression and better vocals. In the case of "Downtown Hanoi", it's not a huge difference since that was one of the heavier tracks on the album to begin with, but for "Juices Like Wine", the verse vocals feel stronger. The chorus is still a bit whiny, and drier than the Cold Lake rendition, but just about everything else might sate fans who hated that. It's nice that they've decided to toss "A Descent to Babylon (Babylon Asleep)" on here from the Wine in My Hand EP (1990), since it removes any and all impetus outside of collection to acquire that piece of crap, but it's still not one of the band's better tracks from the Vanity/Nemesis era. And lastly, the real 'goodies'! Or, rather, the ones you were really waiting for, even though they don't turn out to be so memorable. "In the Chapel, in the Moonlight" has at last been culled from the rare, limited edition Collector's Celtic Frost vinyl (1987), and while not totally impressive, the grimed out vocals, timpani and the trudge of the riffing place it firmly within the Into the Pandemonium period, though it is nowhere near good enough to have belonged on the full-length. "The Inevitable Factor" and "Journey Into Fear" are both decent tunes, the first with a nice set of grooves and Tom's Gothic grousing; the latter with a primal punk thrust and thrash breakdown circa Morbid Tales or Emperor's Return. "Idols of Chagrin" was a brand new piece made for this album, but I can't say it's a favorite. Lots of more generic rock grooves to the guitar riffs, and though the harsher frog vocals, plodding bass breaks and the guitar tone are all well produced, the riffs are far from standout. "Under Apollyon's Sun" is superior, though the primary guitar line is familiar to others they've written in the past, and the vocals are mediocre. But at least this last pair I've mentioned give us a hint of how the band's production would have sounded with a theoretical direct followup to Vanity/Nemesis which never manifest, and they are certainly better (sounding) than what they wrote for their Nemesis of Power demo in '92. In the end, I'm not sure that the positives of Parched exceed its mediocre elements. There's a real sense of resolution and completeness here, authored by a band that cared what it was placing on the shelves for its followers to gobble up. Pieces are drawn from all over the canon. But at the same time, there are enough redundancies to drag its value down, and there's not a single track of the unreleased rarities here that deserved to be on one of the Frost full-lengths. It makes perfect sense that they'd end up here, but just because they're novel to the devoted listener does not render them into works of appreciable quality. The new songs were, truthfully, underwhelming. Boring even. Engineering aside, if they had released a full length with such lackluster composition it would have flopped even harder than Cold Lake. They're just not memorable, an attribute critical to all of their classics. The other rarities are a mixed bag: "Journey Into Fear" and "The Inevitable Factor", the two best on this collection, are still not up to the level of album tracks. So there's a real sense of 'leftovers' which permeates the compilation, flabby non-athletics that would never have been picked for any volleyball team, and in conjunction with the cut and paste tracks or minor edits that represent about 50% of its play list, the best I could consider this is average. Not as worthless as many other collections of its type, but not all that inspired in retrospect.